Jordan Morgan will be playing in his final game at the Crisler Center on Saturday against Indiana in Michigan’s final Big Ten game of the season. Morgan can look back at his final regular season as a true conquering hero, with the Big Ten conference vanquished and the program he’s overseen for the past five years safely anointed with the outright conference crown for the first time since 1986. When I was a junior at Michigan covering the basketball team for the Michigan Daily, I wrote an insufferably sappy and somewhat embarrassing column on Manny Harris and DeShawn Sims. It was just before that Big Ten Tournament game when Evan Turner unceremoniously ended the Michigan careers of the two great Wolverines. I had been watching those two players since I was in high school, and I felt the need to express that their careers had meant something to me. I imagine many Michigan fans will be feeling the same way about Jordan Morgan on Saturday night. 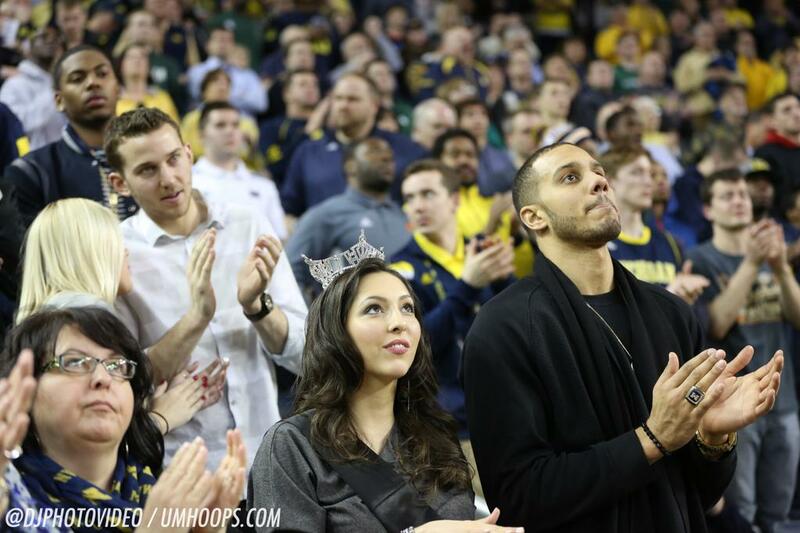 Morgan has meant as much to this fan base, and the Michigan basketball program, as any player in recent memory. Morgan has been a Wolverine since the tail end of 2007, when he committed out of University of Detroit Jesuit High School. At the time, he was relatively unheralded — Rivals did not have him ranked and Scout listed him at the 32nd-best center prospect in his class. He was also out of shape when he showed up for his first practice with the Wolverines. Michigan coach John Beilein likes this anecdote about Morgan, and he referenced it again before Michigan played Illinois on Tuesday. We spoke to former Michigan captain Zack Novak about Morgan Thursday night, and he put it more bluntly. But that didn’t last long. Novak reflected that Morgan “worked so hard” to get in shape quickly, only to suffer a knee injury that left him redshirted his freshman year. He battled a shoulder injury after that. Finally, in his second year, Morgan was a revelation. The Detroit native was the favorite target of his roommate, then-sophomore Darius Morris, and averaged nine points and five rebounds per game. But more than that, he was tough, aggressive and smart — exactly the post presence Michigan needed. It was clear that despite early doubts, Michigan had a Big Ten-caliber player. The following season saw Michigan win its first Big Ten title under Beilein, with Morgan manning the center position. The big man didn’t have quite as much chemistry with then-freshman Trey Burke, but his stat line didn’t differ markedly from the season before. The highlight of the season came when Morgan played an incredible game matched up with Jared Sullinger of Ohio State in a late-game showdown in Ann Arbor the Wolverines desperately needed in order to take home the conference crown. Last year, adversity hit Morgan hard. In his redshirt junior season, he went from playing 60 percent of available minutes to a little over half that. His usage rate dropped, as did his effective field goal percentage. After injuring his ankle late in the season against Illinois, Morgan missed a heartbreaker to end all heartbreakers against Indiana at home that cost Michigan a share of the Big Ten title. Mitch McGary’s emergence during Michigan’s sublime NCAA tournament run forced Morgan to play the role of spectator, culminating in his not playing a single minute in Michigan’s round-of-32 game against VCU. Finally, Morgan got his chance in the postseason, entering Michigan’s semifinal game against Syracuse in the final minute and taking a critical charge before finishing the game off with a two-handed slam. It was that moment, Novak said, that he thought encapsulated who Morgan was as a player. Given the way his redshirt junior year ended, no one would have blamed Morgan if he had decided to leave the program. He had already graduated; with McGary returning and his playing prospects looking bleak, why come back for his final year of eligibility? Maybe he could use the NCAA’s graduate transfer rule and play major minutes somewhere else — experienced Big Ten centers who have played in the Final Four are in high demand in the transfer market. But Morgan came back. Recently, he said why. It did. After McGary had surgery on his back early this year and it was obvious Michigan’s All-American center would likely miss the rest of the season, Morgan initiated his renaissance. Now an elder statesman, the redshirt senior stepped in and is having his best season yet. His usage rate is the lowest it’s ever been, but he has never been this efficient offensively with a 126.1 offensive efficiency rating and an effective field goal percentage of 67. He is turning over the ball at the lowest rate of his career and is blocking more shots than at any point outside his redshirt freshman year. His offensive and defensive rebounding rates are the highest of his career outside his injury-shortened 2012-13 season. To put it simply, Morgan has been a flat-out beast. So for Novak, what makes this season so special for Morgan isn’t just that he came back — it’s how he came back. I’m not going to say Michigan fans don’t appreciate Jordan Morgan. The Michigan fans I associate with know full well what he has meant to the program and what he means to this year’s Big Ten championship team. But I will offer the same suggestion I so clumsily offered regarding Manny Harris and DeShawn Sims four years ago: when Morgan takes the Crisler Center court for the last time on Saturday, take a moment and just watch. Morgan will graduate with a B.S. in industrial and operations engineering and is now finishing up his Master’s degree in manufacturing engineering. He will leave Michigan having overseen a rise from the low of a losing record his redshirt season to the height of the Final Four last year. Novak, Morgan’s old frontcourt mate, summed up Morgan’s contribution to the program nicely. That he has. And, as Morgan would be the first to point out, there is winning yet to be done. When Michigan beat Iowa at home in late January, Jordan Morgan turned in one of his better performances of the season. 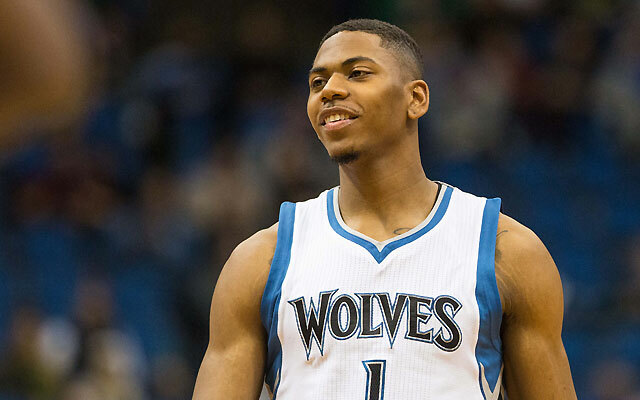 He scored 12 points on 5-of-6 shooting and pulled down seven rebounds as well as registering a block and a steal. In many ways, it was vintage Morgan performance — he did the dirty work underneath and made some key plays to help Michigan seal the win. Afterward, the usually measured, deliberate Beilein found himself making an impassioned stump speech in support of Morgan. “This is the old Jordan who we all saw,” Beilein said. “Not only that, he’s sitting in our offices during the day, he’s around our guys, he’s messaging our guys. The leadership right now, I didn’t foresee this coming. You have Mitch (McGary) and you have Jon (Horford), and then all of a sudden he’s got his shot. He’s been so team-oriented all year long, even when he was playing few minutes. All of a sudden, here’s a great lesson in front of him.